Established in 1982 and on the same site and same ownership ever since, Rogers of Brock are one of Lancashire's largest independent used car retailers. Touchline Fabrications Ltd of Preston offers a complete structural steel design and build service and fabricates an extensive range of steelwork. 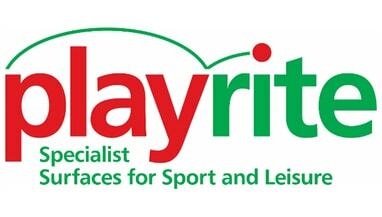 We undertake projects every year for private sports clubs, councils and education providers. With over fifty synthetic surfaces for sport, playgrounds and gardens, we have the right product to suit you with the quality you need. The Alston Pub & Dining is a newly refurbished Local Community Pub located in the small village of Longridge on the edge of the Ribble Valley. We have a wide selection of draught beers & real ales accompanied by a range of Boutique beers from all around Europe. Our Wine selection is of the highest quality and is supplied by Bowland Forest Vintners whose wine portfolio is second to none. Our drinks selection is completed by our wide range of spirits along with a broad range of soft drinks. The recent refurbishment includes the introduction of a new menu, with daily specials, weekly offers like our chip shop tea night and a choice of two meats on our Sunday roasts each week. The Alston prides itself on using fresh local products and ingredients in all our dishes to make our quality traditional pub food. Please take time to look at our current menu in the Menu section of this site. The Alston’s atmosphere is very inviting and we offer a warm and friendly welcome to all customers, both young and old, making it a great place for everyone. The newly refurbished garden is one of the highlights of the Alston as it is the perfect place to chill out and take in the scenery of the Ribble Valley, with the trough of Bowland in the distance sit back and enjoy a refreshing drink and enjoy some fresh quality food. The Pub also will also be showing Sky Sports throughout the year with some of the worlds biggest sporting events being hosted on Sky this year. To keep everybody entertained the Alston will be hosting Live Music Nights throughout the Year and also has a weekly Quiz held every Tuesday evening from 9pm. We will also be hosting some fairly big events over the coming year such as our Scavenger Hunt and Beer & Music festivals. Pub Restaurant Longridge, Ribble Valley, Goosnargh, Grimsargh, Beacon Fell, Chipping, Ribchester, Slaidburn, Forest of Bowland. The Alston Pub and Dining, Quality Food, Quality Beer, Quality Service, Excellent Price, Superb Atmosphere and much more, we are your pub, the communities pub. See you soon!! When selecting the right financial adviser, it pays to make the right choice. We are exclusively a fee based practice, working with successful individuals and their families. With financial planning at the heart of what we do, we work to help you achieve the lifestyle you want both now and in the future. Barton Grange Garden Centre opened in March 2008 following years of detailed planning and a whirlwind year of building! Eleven weeks later, the Garden Centre was officially opened by HRH Princess Anne. We are committed to running an environmentally friendly business – you can read about our Environmental Policy by clicking the link below. And, as an independent, family run business, we’re totally committed to the old-fashioned ideas of friendly customer service and good, solid advice. The Garden Centre is part of the Barton Grange Group, owned and run by the Topping family from Barton near Preston. The group of companies dates back to 1945 when Mr and Mrs Edward Topping bought a small manor house on the A6 at Barton with plans to turn it into a hotel. Over 65 years later, the Group now includes not only the planned hotel, but the award-winning Barton Grange Garden Centre, a successful landscaping business, three large plant nurseries and a marina on the Lancaster Canal. We are a fast growing telecommunications company, this is helped by our extensive experience across the whole I.T. spectrum, our innovative approach and proven successes of projects undertaken within the counties of Yorkshire and Lancashire. We provide some of the fastest broadband connections in the Rural North of England – and we are always expanding and improving our Next Generation Network. Originally called LN Communications Ltd with a trading name of I Love Broadband we were established in 2006 and over the years have expanded until in September 2015 we acquired a similar company called Boundless Communications based in Lancashire. We have adopted the Boundless brand name with offices in Leeds and Chorley. Established in 1965, Derek Fox & Son (Timber) Ltd has a long tradition in the manufacture and supply of quality timber products for a wide range of end uses. Supplying to builders, farmers, local authorities and environmental agencies, the majority of our timber products are designed and produced within our own workshops at our modern, 3.5 acre facility to ensure the highest quality and attention to exacting customer requirements. In 2002 we acquired Woodsfold Sawmill at Withnell - this 25 acre site has given us the room we have been short of for a long time, allowing us to hold larger stocks and diversify into different markets. Woodsfold already had a good customer base which over the past few years has grown steadily; with its unique location it is easily accessible from all major road and motorway networks. The two seasonal markets of Christmas trees and firewood are both prominent at this site as the sawmill is situated in the middle of its own plantation, which hopefully managed properly will supply local areas with Christmas trees for years to come. The firewood is a spin off product from our sawmilling operation. All the timbers used by Derek Fox Timber come from responsibly managed resources which have active replantation programmes (70% FSC Certified) to replenish the harvested timber, of which we are a FSC CoC certificate holder. By adding the most environmentally advanced and effective preservative treatment to the majority of our components we also extend their service life and ensure we are making the most out of timber. Over the years Derek Fox Timber has gone from strength to strength by only supplying the best products available at the right price. With our modern transport fleet we are able to deliver direct to most customers from our large stocks at both sites, usually within 2-3 days of order, be it one or two items to full loads, we will give it our utmost attention. If on the other hand you prefer to collect your goods you will find our knowledgeable staff are always willing to help and lend a hand. The kind of service you only get with a family run business. We are a local, privately owned timber merchants established in 2006. 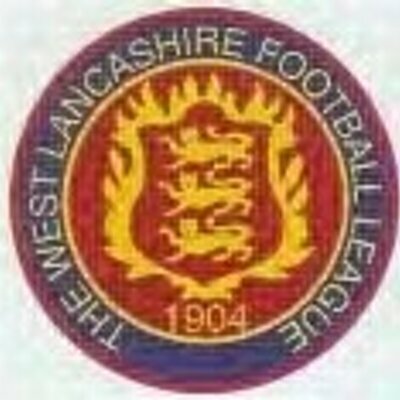 As the name suggests we are situated Longrige, near Preston and service the whole of the North West. Our aim is to provide the best products for the job at competitive price, with the best service and great delivery. We stock a large volume of regularised carcassing, treated timber, decking, hardwood together with Ply, MDF, Hardboard sheets, PSE, Dowels, Beads, Handrails, Stair parts, Doors, Quadrants and many more timber products. Our on site workshop offers a cutting service & bespoke manufacturing of doors, windows, drive gates, stairs and more. Set in a peaceful corner of the unspoilt Whittingham Village yet within easy reach of the M6/M55 between Broughton and Longridge. A purpose built family run cattery comprising of 36 rooms, all warm, comfortable, hygienic and bright. Built with reference to the Good Cattery Guide and Feline Advisory Bureau Purrfection offers the largest accommodation in the country with each individual chalet offering sleeping and exercise areas second to none. The perfect retreat for your cats to enjoy their vacation while you enjoy yours. We are a leading independent firm of chartered accountants and business advisers in Preston, Lancashire, with offices in Fulwood, Longridge, Bamber Bridge and Garstang. Our highly skilled team are experts in wealth management and small business accountancy – with specialisms in agriculture, construction and medical professions. We pride ourselves on the feedback we get from our clients, proving that we are an exceptionally approachable and friendly business. Nothing can ever prepare us for the emotional shock of losing a loved one. It is a difficult time and the last thing you need is the worry of organising the funeral. That’s why at William Houghton we offer a service covering all aspects of funeral care which begins from the moment you contact us and often continues far beyond the day of the funeral. We believe in providing professional, specialist support to you and your family to help ensure arrangements are as stress free as possible. We arrange funerals that reflect and incorporate the wishes of the individual. We can advise on the many options and choices available to you, cremations and burials, choice of coffins and flower arrangements, newspaper notices, we can even arrange to have the service at home or other suitable venue. Whatever you choose we can help you arrange it all, even a suitable venue for a gathering afterwards with any catering needs that might be required. So whether it is a simple funeral, a traditional funeral, an alternative funeral or an extravagant occasion, we are able to provide you with a totally personal and completely bespoke service. As a family-owned enterprise, the KREMPEL-GROUP is an independent manufacturer of high-quality semi-finished products and a leading global system supplier of advanced materials. With its electrical insulations, solar materials, composites, electronic materials and special laminates, the group enjoys an excellent reputation worldwide and is the market leader in a number of business sectors. Approx. 1200 employees work in the group’s production facilities in Germany, England, Poland, Brazil and China. Distribution companies in Austria, Great Britain, the USA, Thailand and China ensure fast service locally. MDMS was formed in 2002 as an independent specialist mechanical and electrical services contractor, providing a turnkey design, installation and after care maintenance service all from a single source. Our team of staff recognise that wherever people are they expect a high quality environment and therefore temperature, lighting, atmospheric control and safety systems all have an important role to play in ensuring a high standard of personal comfort. To achieve this aim MDMS have sought to forge strong, flexible working relationships with both clients and all other members of the construction team, which to date we have been successful in managing to develop more friendly business relationships. This positive and mutually cooperative attitude helps to ensure that each project is delivered efficiently, on time and meets or preferably exceeds the client's expectations. Reputation is built by delivering a high standard and ensuring client satisfaction. The MDMS philosophy of not only installing, but continuing to provide a high standard of after care and maintenance provides our clients with the comfort that we won't just walk away after completion, but will continue to ensure that their installations perform reliably and efficiently on an ongoing basis. What makes MDMS different from the rest? Sales jargon is easy to write, but delivering outstanding performance , maintaining a clear focus on customer care and the ability to turn each client's vision into an effective , economic working solution are what MDMS actually does. We are able to produce a bespoke design, carry out a full site installation, prefabricate offsite more economically and safely where possible and commit to ongoing after care and maintenance service. MDMS can also offer innovative green and sustainable solutions such as biomass boiler installations. With over 30 years experience in food distribution, we have created a loyal customer base and a reputation for excellent service. We began life as merchants of locally produced farmhouse cheeses, supplying local markets and specialist shops. Over the years we have continued to grow and expand our scope of products and services. We remain true to our roots of cheese suppliers but are regarded as providers of a comprehensive range of quality chilled and ambient foods, at one single source of supply. As our business and products continue to expand, we have made significant investments to maintain and grow the service we provide. A recent investment includes a state of the art, purpose built facility with large storage capacity and a new bespoke telesales service. We are committed and prepared to make further investments to keep on top of the industry. At Clegg’s Chilled Food Service, we are dedicated to delivering you better choice without compromising on quality and value for money. We source the finest selection of specialist foods, ensuring all our customers receive the best quality products possible. We also have the highest level BRC grade ‘A’ accreditation to give you confidence of supply. John Barton Printing is a family owned company and has been serving the Ribble Valley, Preston and Lancashire area for over 30 years. Originally formed in Ribchester and located in Longridge for over 25 years our aim is to provide a fast and friendly service producing outstanding design, excellent quality printing and finishing with competitive pricing for both public and private sectors. Please contact us for a no obligation quote, we offer a free local delivery service. You will find Ferrari’s Country House Wedding Hotel and Restaurant set amidst the peace and tranquillity of the beautiful Ribble Valley, a mile and a half outside the charming village of Longridge in Lancashire. The family acquired Ferrari’s Country House Wedding Hotel and Restaurant in July 1995 and in such a short period, they have transformed this excellent property into one of the most popular and acclaimed wedding venues in the North West of England. The property was previously named Blackmoss House and was built by the Earl of Derby in around 1830. The house was originally used as a shooting lodge and was part of Derby Estates until the late 1970s. Set in four and a half acres of mature walled gardens, the hotel and restaurant have recently been extensively refurbished. From our well equipped facility based just off junction 31a on the M6, we can apply many different types of protective coatings onto all types of metals including, mild steel, galvanized steel, zinc coated steel, stainless steel, aluminium and more. The protective coatings we offer range from powder coatings to wet spraying and include warm to touch coatings for disabled handrails. In addition to this we also offer an excellent paint stripping and coatings removal service. The majority of the work carried out by F&M Powder Coating is for new manufactured metal components, but we also offer a full restoration service which is ideal for aged gates & railings, street furniture, alloy wheels, car & motorcycle parts to name just a few. All products can be finished in a wide range of RAL or BS Colours and we also offer a paint matching service to meet your individual or corporate requirements. All the various processes we offer are completed in-house, and we offer an excellent collection and delivery service. Our wealth of experience in the metal finishing industry coupled with our commitment to quality and customer satisfaction has helped F&M Powder Coating build a loyal customer base, which include aerospace and blue chip companies and the company continues to grow year upon year . We are dedicated to making the very best handmade British farmhouse cheeses at Wilson Fields Farm, our family home as well as our dairy. Our aim is to make cheeses “to die for”, so enjoy discovering a taste of the unexpected, from our famous Blacksticks Blue to our original recipe Butlers Farmhouse traditional Lancashire and many others. Enjoy! We are proud to announce that on 6 June 2008 our Dental Surgery was given Denplan Excel Accreditation, as part of the higher Denplan Quality Assurance programme; this is a profession acknowledged benchmark for quality dental care in the UK. We have successfuuly maintained this prestigious accreditation at every assessment since. The new location has been very popular. Dr Nicholas Richardson was pleased to be joined in July 2008 by Dr Fiona Richardson. "Fiona is my daughter & third generation dentist. She had been working in Lytham St. Annes, but was keen to develop her practice here in Berry Lane Dental Surgery. Over 3 generations of dentistry in one family, and in one dental practice.We are proud to announce that on 6 June 2008 Berry Lane Dental Surgery was given Denplan Excel Accreditation, as part of the higher Denplan Quality Assurance programme. "Appointments Late/evening appointments available. Weekend/Saturday appointments available. Same day appointments for emergency. We are a long established Kitchen & Bedroom manufacturer, specialising in custom made quality fitted furniture. We pride ourselves on our personal service from design to installation, this is backed up by the fact that the vast majority of our orders are as a direct result of recommendations from customers that we have supplied with their dream Kitchen or Bedroom. Skretting is the global leader in providing innovative and sustainable nutritional solutions for the aquaculture industry. We deliver outstanding feeds and services worldwide for sustainable production of healthy and delicious fish and shrimp.